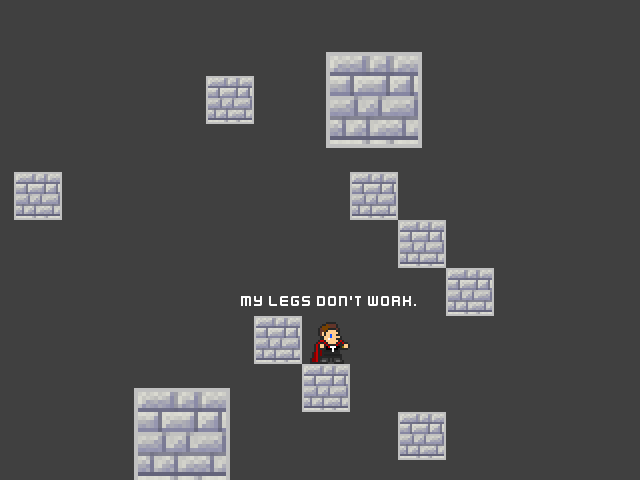 Leaping Larry is a procedurally generated platformer, and the hilarious satirical prequel to Jacob Szall's Levitating Larry. Use the arrow keys to move and hit the up arrow to jump. You can double jump in the air, and you can jump as many times you like up walls. Press the spacebar to change the allergy-inducing, spinning brown tiles to a safe grey, and back again! It's deceptively simple to play, and has procedurally generated levels. 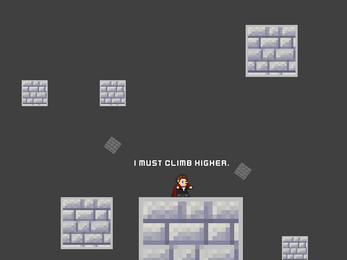 Use your relative agility wisely, avoid the deadly spinning brown tiles, and you might just reach the top. You must reach the green flags at all costs, even if it means getting hives. Jump, Larry, jump! And one day, you'll (probably) learn how to levitate.